and knocked over the birdbath, spilling the contents. Side note: the birds haven't used this at all. I need to check the seed. It's been out there for several weeks and may be unattractive. I can scatter it on the ground under the tube feeder where I've seen ground feeding birds like mourning doves and rabbits, in addition to squirrels, eating what's fallen from the feeder. It's rather humorous to watch birds on perches flick aside what they aren't interested in, from the mix in the tube. 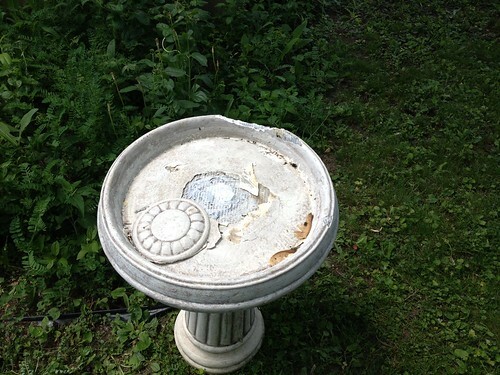 The birdbath had fallen over when it was in the back yard and was slightly chipped. This would be, I was told by a friend, easily fixable with a resin repair you painted on. This latest problem would not be reparable with a simple paint job. So, I'd be faced with replacing the birdbath. This one was the one I won last year, so I wasn't out a lot of money. I hopped online and typed in "birdbaths". The sheer enormity of what's available it astounding. This is a nice looking bath, but I wanted something else. Glass bird baths. Who uses those for anything other than interior decoration? I mean, seriously. We have had strong thunderstorms rumble through Chicagoland the past three days. These come with upwards of 40 mph winds. The absolute last thing I want to do is clean up broken glass because Mother Nature decided to lift the bath off its stand and drop it to the side, in the flower bed. And given the fragility of resin, I couldn't justify the replacement cost to see another bath tipped over and broken. I thought about what I have on the deck. It's low enough that wildlife can use it, but it's extremely rare to have it tipped over by the wind. But I wanted to be able to see the birds who might use this, if I stand up and look out the window. I found what I thought would be a good match for all these criteria on a site called Wayfair.com. I read the product description. It was white, heavy-duty plastic. It should not crack, even in the winter. If tipped over the product shouldn't break where the column meets the dish. It was a good buy. 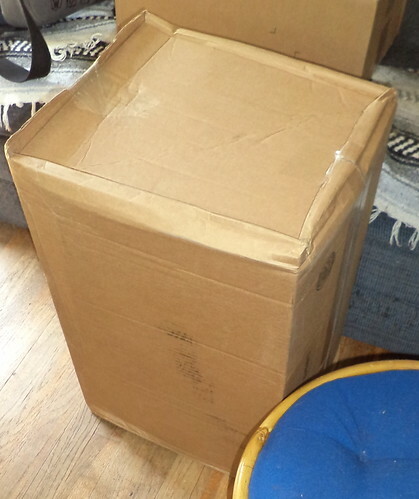 The box was rather big. It was also much lighter than I understood from the product description. Hmmmm. I unpacked it. Here were the two pieces. Okay. Now what? There were no directions. The top and base had the indentations for, perhaps, nails, screws, something, but it wasn't clear. I pulled off the packing slip and there were instructions. "Attach basin to post with included screws." That's all that was on the slip. I looked for "included screws". I couldn't find any. Not to worry. I'm a homeowner. I have a couple hundred (It seems.) screws in the basement which would work. I screwed the top onto the base and carried the bath outside. This will look very nice. I went to add water but when I came out, it had tipped over. No matter. I'll just right it and add water to the basin. The water's weight should keep it upright. Nope. It was a slightly windy day; gust upwards of 15 mph. It tipped over repeatedly. Frustrated, I found a stake, wired the bath to the stake and shaved off a small section of ground in case where I had it was not level. It lasted upright 10 minutes. The thing is too light to stand on its own and even anchoring it simply delayed the inevitable tipping over. Frustrated and angry, I went back to the web site. Suddenly, all these comments became visible. "Screws weren't provided." "Holes for screws not properly drilled." (I didn't have a problem with this, but I could see how it could be a problem since this appears to be injection molded plastic.) There, buried about 15 comments down was this. "Instructions woefully insufficient. Base must be filled with sand or dirt for the bath to stand upright. This is NOT printed anywhere on the instructions. I had to figure it out for myself." AHA. This is the problem. Wayfair.com is simply a reseller. They aggregate items from manufacturers, add some mark-up, and resell it to you. My daughter has had good luck with the things she's purchased. I am extremely unhappy with this. 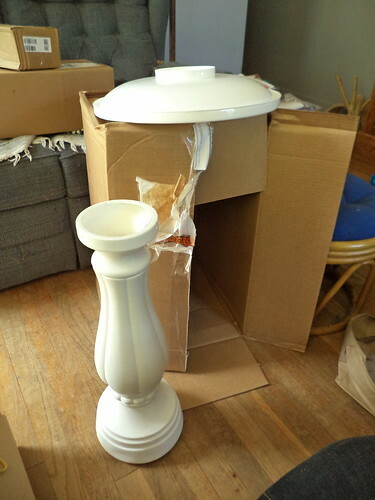 The description of the birdbath on Wayfair is woefully inadequate. Nowhere does it say you need to fill the base with sand for stability. This should be in the product description. I never saw the negative ads. I only saw glowing ads touting the product. All relevant comments, even negative ones, should be available to view. Instructions could be Ikea-style, where it's a simple sheet with a blow-up diagram of the product and its assembly. Instructions need to be on a separate sheet, not printed on the packing slip. You know what, I did find the screws. They were in a tiny plastic bag, taped to the bottom inside wall of one of the sides. I only found them when I ripped the box apart for recycling. They could, very easily, be taped to the basin where they would be visible. Is that Wayfair's fault? Possibly not, but they could, as a reseller, ask the manufacturer to do this. I simply added the screws to the container of random screws I already have. So, this weekend, I need to head to the hardware store and get a bag of sand. Then, I need to deconstruct the bath, add the sand, and put it back. 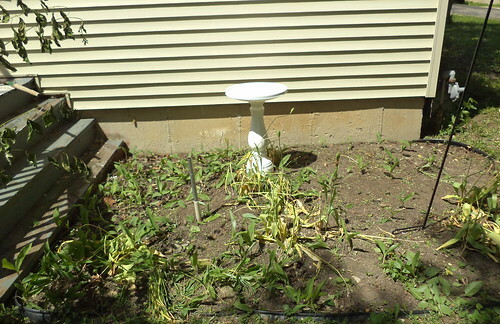 The total cost is still going to be cheaper than any resin birdbath, which would not have tipped over, would be. I guess the moral of this is that I got what I paid for. Actually, I got less. Once the sand has been added. this will be a nice addition to this spot. 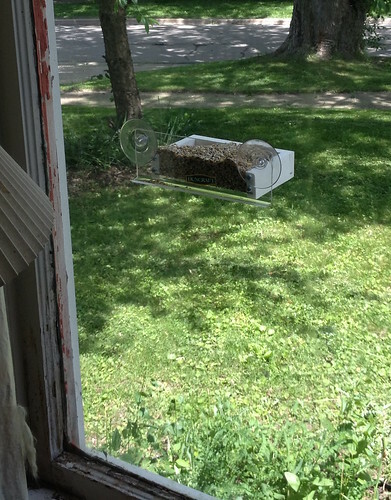 Since I have to buy a hummingbird feeder, getting the sand isn't an added inconvenience. I'm not shopping at Wayfair again. When I complained, explained what they should have done, they offered me 10% off my next purchase, as long as it was done within the month of June. That's kind of an insult. I'm not sure when I would be shopping with them and 10% isn't going to cover shipping and handling costs for anything. A friend asked what would get me to shop there again. "You know what, you make very valid points. We failed in our description for this product. We're going to fix that. I'm sorry you're unhappy with this product. We can replace it for you, sending you a box to ship it back and give you your money back towards the purchase of something else. Or, we can offer 25% off anything, including sale priced merchandise, good through the end of the year. Again, we're sorry this product did not meet your standards."